The fibre glass Beach or Dune Buggy was devised by Bruce Meyers in California back in 1965. He created the fibre glass body go onto the rolling chassis of the humble VW Beetle with its 1930’s technology! His Meyers Manx was immensely popular and was then copied many times throughout the world. They started coming over to the UK around 1968, the most popular then was the GP. 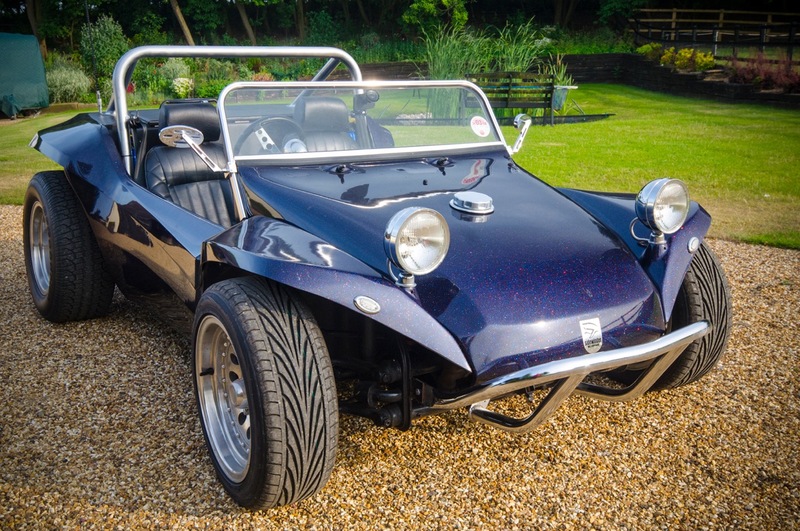 This body is the Sidewinder which was designed and built by Mel Hubbard who also had the UK rights to the Manx in the early 2000’s and the Sidewinder is very similar in design to it. Because like many buggies, its actually shorter than the beetle and so the chassis has been shorten professionally by approx. 15 inches. This particular buggy was built in 2007 and had passed through several owners with very little mileage when I bought it in 2011. 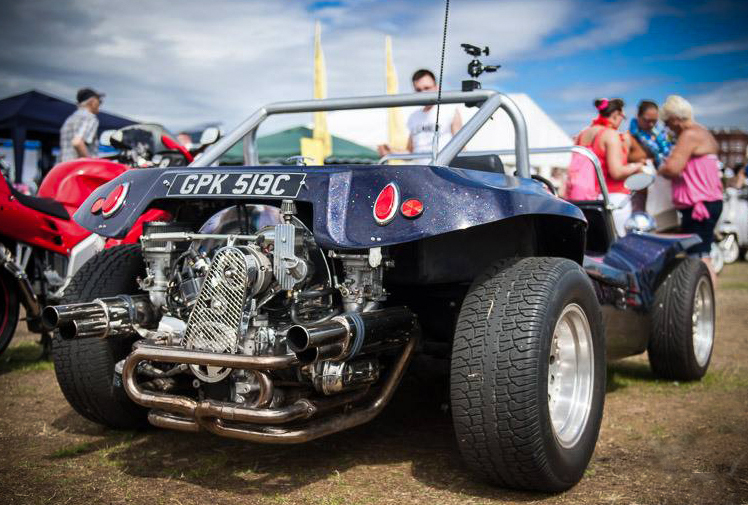 My previous GP buggy had been in the family since 1984. The gel coat is black, but with the amount of blue and then red, green and silver metal flake gives it the blue look and under direct sunlight the flake really comes alive. As is often the way with these cars, though ready built I wanted to make some changes to it to make it more useable plus there were issues with the engine and subsequently gear box. So it came off the road in late 2011 and during that period of rebuild, I replaced the engine with one of more power and reliability, upgraded the gearbox, ditched the alloy petrol tank at the back for a beetle one at the front which still had to be adapted. Added a whole new dashboard and rewired the complete car along with marine stereo and speakers and CB radio - very handy with the other buggy users in cruises. And finally the storage box at the back and a new exhaust system giving much more power. OK so it doesn’t have the power and performance of many of The Bears cars, it’s certainly lots of fun and feels faster than it really is. Smiles are always guaranteed in it (as long as its not raining!) and I do try to use it as much as possible - on average 6,500 miles a year. 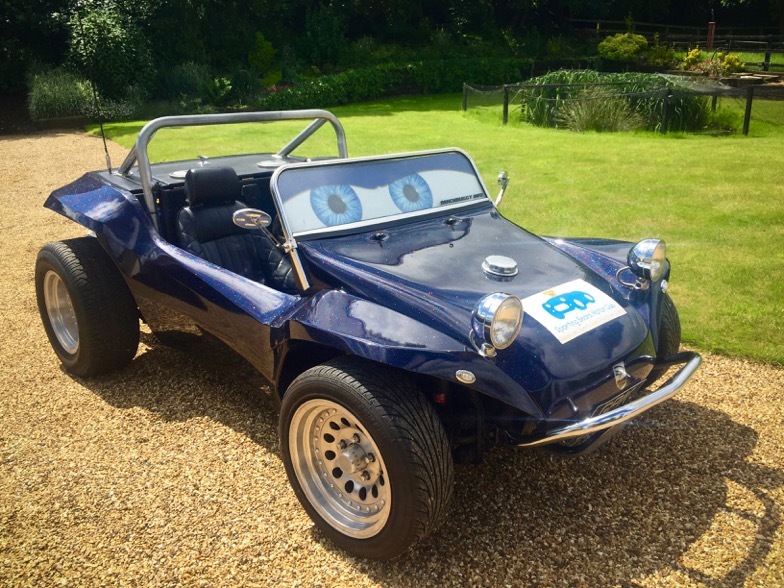 My buggy was featured in the TV show “For the Love of Cars” being driven around Rockingham race track by the shows presenters Phil Glenister and Ant Anstead.